Making venison stew is a great way to use up some the not so tender cuts of venison sitting in your freezer. 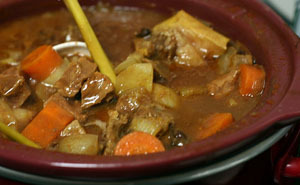 But, better cuts work great as well... even ground venison can make for a delicious stew recipe. Here are some of our favorites we hope you'll enjoy.